Clear skies, blue waters, and a suntan were what we had in mind when we embarked on our first Caribbean trip together back in January. The weather had other plans though, and we ended up with about one cumulative hour of sunshine for the weekend. That's where good company comes in. 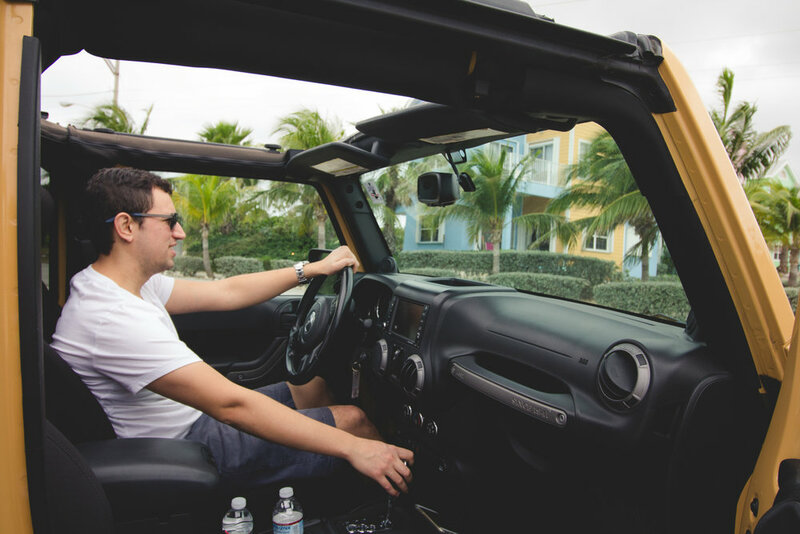 Felipe and I rented a Jeep and drove around the island for lack of better things to do. Did you know that just about everything is closed on Grand Cayman unless a cruise ship is docked? We didn't either. But, we made the best of it and in the end, at least enjoyed a two day reprieve from the freezing temperatures in Dallas.